In addition to free maintenance, more standard features and an extended warranty, the 2016 Jaguar F-Type is also available with all-wheel drive for the first time. Jaguar wants to keep the momentum going with its F-Type two-seat sports cars and will offer free maintenance and additional standard features for the 2016 model year. The warranty has been extended by one year and 10,000 miles to 5 years/60,000 miles. The new free maintenance package, which is also covered for 5 years/60,000 miles, covers oil changes and other work, but not brakes. 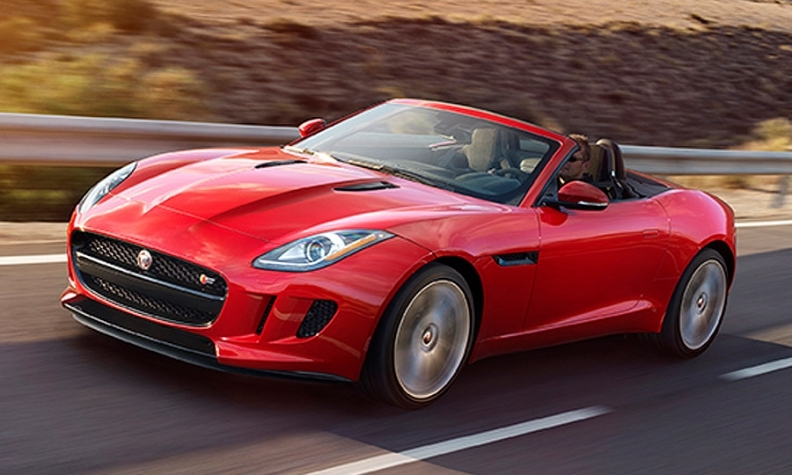 Currently, F-Type owners only get the first scheduled maintenance visit for free. Jaguar does not offer free maintenance on its other cars. In addition to free maintenance, a six-speed manual transmission and features that normally cost a combined $3,500 become standard. The 2016 coupe F-Type entry price remains the same at $65,995, including shipping, except the standard transmission is now a six-speed manual. The same applies to the entry convertible priced at $69,095, including shipping. The coupe gets a panoramic sunroof as standard equipment Both cars get an upgraded audio system, satellite and HD radio, keyless entry, 14-way power seats, and Jaguar’s in-control and telematics interface for iPhones and Android devices that allow control of various apps on the touchscreen and remote monitoring, lock and unlocking and starting of the cars. The automatic transmission becomes a $1,300 option. All-wheel drive becomes standard on the range-topping 5.0-liter V-8 convertible which also gets a 55-hp boost to 550 hp. The R coupe got these changes for the 2015 model year. The 2016 model-year cars go on sale in April. Jaguar said it has sold 7,085 cars since they went on sale. The convertible debuted in 2013 and the coupe in 2014.